I love this cute little whale, showing off and making a splash. I wanted to keep this theme fun-loving and playful, even though it is for an accomplished adult. 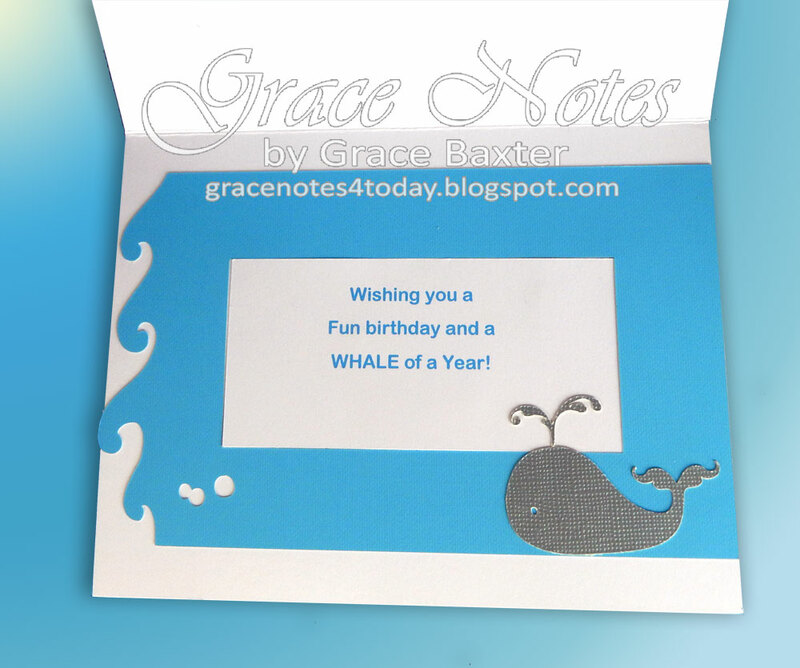 Birthday cards don't always have to say "happy birthday" on the front. It's all about the FONT. I created my own graphic for this one. I love designing my own sentiments because I can create the perfect sentiment and choose the font that works best! Note: Because so many of you want to know how I make my sentiments, I will be coming out with a special posting on Sentiments, SOON. Some of my sentiments will be available to my Followers. 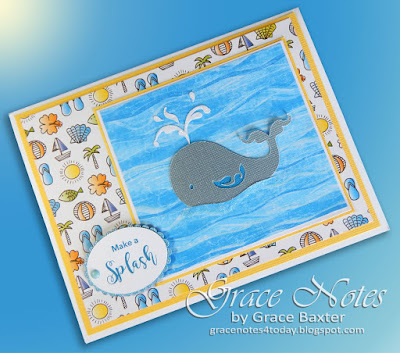 These little gems can be printed and used on your own cards. 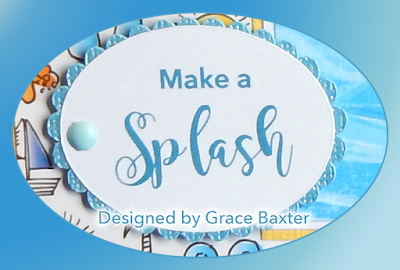 And yes, you will be able to upload them into Cricut Design Space to print and cut there. Or add the jpg to your own Word file and incorporate the sentiment into your own design. SO many possibilities. So stay tuned for that!